I’m back from Gen Con and four days of terrific gaming. For this year, Wizards of the Coast elected to focus its attention on exposing as many as possible to Dungeons & Dragons Next, and so they dropped all Living Forgotten Realms events from the convention. Pushing D&D Next seemed to work. Players new to D&D Next filled my tables and I met a lot of Pathfinder devotees willing to sample the new D&D system. The lack of LFR disappointed some players and judges, but I appreciated the chance to run D&D Next for the first time. The absence of LFR at this convention doesn’t signal the end of fourth edition or of Living Forgotten Realms. New LFR adventures are coming. The Winter Fantasy convention will feature a slate of LFR events, including a new, paragon-level battle interactive. Although I dungeon mastered the Crisis in Candlekeep delve twice, my DM highlights came from running the Murder in Baldur’s Gate launch adventure three times. Murder in Baldur’s Gate forced me to develop an aspect of my DM skills that I’ve rarely exercised in the past. I’ll write about that in an upcoming post. As usual, playing the 2013 Dungeons & Dragons Championship delivered as much fun as I ever have playing D&D. The Championship features a lethal adventure intended to test even the best teams of players. The unforgiving challenge brings a sense of peril that you never see in typical adventures, because in typical adventures the odds always favor the players. The event’s time pressure amps up the urgency and demands fast play. This year the author of the championship adventure, M. Sean Molley, created a tribute to the 1982 Lost City adventure by Tom Moldvay. The first round dared teams to recover three staffs from locations in the lost city. 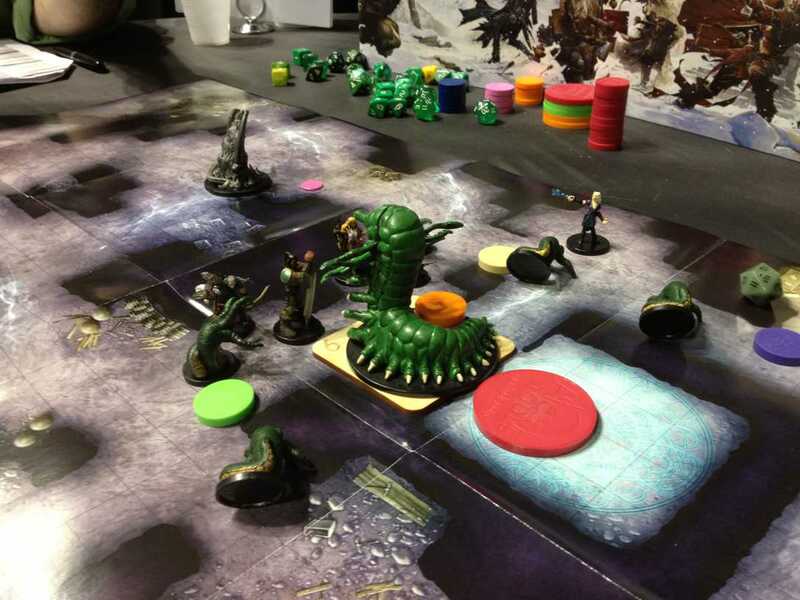 Earlier fourth edition championships played solely as tactical miniature battles, but this year’s adventure added puzzles to the mix—a welcome nod to the old tournament classics. The final round required characters to use the staffs in a fight to destroy past and present versions of Zargon, the evil demigod of the lost city. I marvel at how skillfully a battle with so many variables was balanced on the narrow line between difficult and impossible. As a dungeon master, I admire the DMs in the championship, who must play fast, fair, and show total command of the rules. They do enjoy some perks: Where else can a DM coupe de grace a fallen character without straining D&D’s social contract? Even among this elite crew, our DMs Brian and Sean stood out as exceptional. Plus, our DM for the finals happened to be the adventure’s author. I played on the team that claimed second place—for the third year in a row. We’re like the 1990-1993 Buffalo Bills of the D&D Championship. Still, I’m thrilled to do well. Will next year’s Championship be the first to feature the next iteration of the D&D rules? This entry was posted in Living Forgotten Realms and tagged Battle Interactive, Crisis in Candlekeep, D&D Championship, GEN CON, Living Forgotten Realms, Lost City, M. Sean Molley, Murder in Baldur's Gate, Pathfinder, puzzles, Tom Moldvay, Winter Fantasy. Bookmark the permalink. I was there, judging the DDC for the third year. (My finals team came in third.) It is a certain kind of fun, though as you note, speed and accuracy are the critical skills. Role playing, not so much, though this year’s event was more varied than the chain of combats we had in the past. Next year’s DDC will certainly use D&D Next rules. I have no idea how that will go. I’ve run a tiny bit of D&DN, including one two-hour block of Candlekeep, and the rules set really encourages improvisation and tangents. That’s not the DDC’s comfort zone. Of course, the D&D Open / Championship has has been conducted in one edition or another going back to the beginning of time. We’ll make it work. Thanks for reading, commenting, and especially for taking the challenging assignment of judging in an event that I love. Fourth edition brought a more consistent test of playing skill to the D&D Championship/Open than it’s ever had in the past. I imagine D&D Next will go a step toward the sort of D&D Open that used the A1-A4 Slaver series of modules. 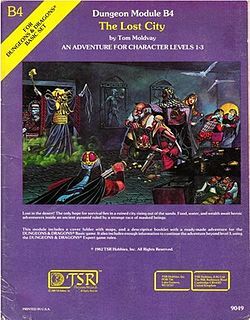 Before the 4E event’s tactical-miniature challenges, success in the championship hinged on luck, play speed as measured by progress through the adventure, and not losing characters.